Adult Seminars for all Across Essex. With Locations in Leigh-on-Sea, Chelmsford and Braintree. Whether you are looking to improve your golf short or long game we can help. Learn how to improve your golf skills with our PGA qualified golf professionals. The School of Golf provides individual golf lessons to all ages and abilities, with each session tailored to the individuals specific needs. We also provide post lesson analytics including a swing video, allowing you to see your swing first hand, as well as an emailed lesson review from your personal coach. This will enable you and your coach to evaluate lesson outcomes allowing further progression of your game. All lessons are a maximum of 8 clients in each group, with 4 adults to one PGA golf professional. Our packages are tailored around spending a morning or afternoon with our PGA golf professionals. Contact Us today to book a lesson. 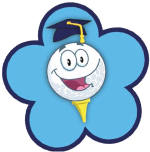 « Previous post"Junior Golf Academy - Fortnightly on a…" Next post » "We Are Hiring - Assistant Golf Professional"